As its name implies, audio networking allows you to transport large amounts of data over a single cable. The bandwidth for modern networking transport protocols is enough to carry hundreds of audio channels without the compression once necessary to do so. This means that audio can be moved quickly over long distances without signal degradation or the expense of conventional analog cabling. The flexibility demanded by data network protocols also opens up possibilities for audio system configuration that were once impossible. Many nodes of I/O can be placed throughout a facility or venue without the limitations imposed by analog cabling. Because networked audio is digital, electromagnetic interference and cable capacitance that can degrade audio signal quality in the analog domain are no longer problematic. Because many modern digital audio devices also offer remote control over LAN networks, this also reduces the amount of cabling. In an audio network, control data and audio can travel over the same connection, facilitating flexible routing, preamp control, and more using a single cable. In a traditional analog system, remote analog I/O must be located within a relatively short distance between the source and the destination. Let’s take a common example: the multichannel snake. In a live setting, the stage box to which the musicians are connecting their gear is located with them on stage. This shortens the cable runs coming from multiple locations (e.g., the lead singer’s mic, the guitarist’s amp, etc.). These cables are connected to a stage box which is attached to a shielded multichannel snake that makes the long run to the mixer at Front-of-House. In a distributed audio network, each musician could have their own node on the network, potentially. Multiple networked stage boxes can be spread around the stage, making the analog cable runs as short as possible to minimize signal degradation. Take this concept a step further, and multiple sources can be spread throughout a large facility, each sitting on the network to be sent to many mixers on the network, not just the one at front-of-house. This flexibility makes distributed audio networking an appealing concept for both mobile and installed applications, not only because of the affordability of Ethernet cabling, but because of the ability to customize each system for the people using it. On the surface, this level of flexibility lends itself to a deeper complexity than a standard analog system. 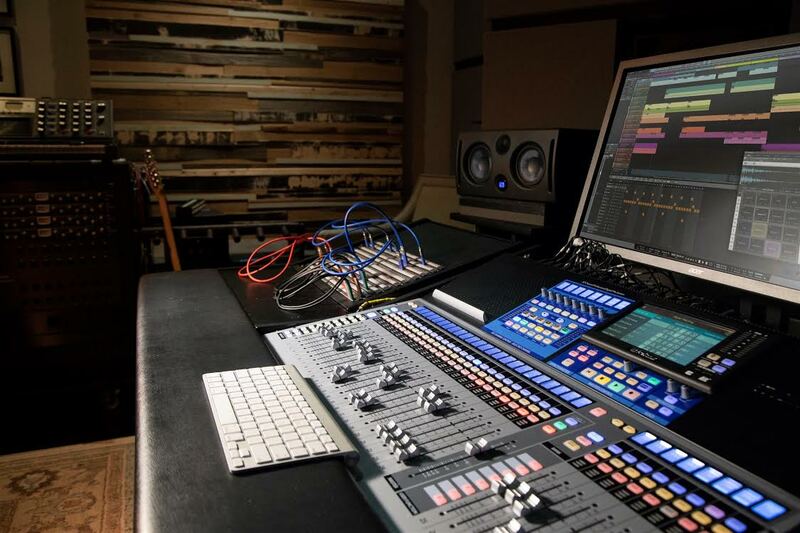 However, when one considers the function of an analog patch bay within a studio setting, audio networking can seem a bit less daunting. An analog patchbay’s purpose is to facilitate the routing of audio. In this way, you can insert your favorite boutique compressor into any channel on your console without rewiring your entire rack. This also lets you route audio from the wall panel in your live room to any preamp you wish to use, audition multiple effects chains, and much more. The only difference between an analog patchbay and the digital patching available in a distributed audio network is that you must physically trace a cable connection if you are unsure of a particularly complex routing in an analog system. In a distributed audio network, the control panel for all your digital routing allows you to do the same thing from a single screen. Network Interface Controller (NIC). These are built into a computer, digital mixer, networked stage box, etc. and, as their name implies, allows these devices to communicate with other devices on a digital network. Ethernet Cables. Both data and audio networks rely on a set of standards for cabling infrastructure to ensure that network performance is both reliable and consistent. These standards include specifications for the cable construction itself, as well as specifications for the termination of cabling and physical connections to devices. More information on cabling can be found in here. Switches. These devices bring all the cables together into a central hub and enable the correct routing of information throughout the network. Every Network Interface Controller (NIC) on the network must have an address so that the switches know where to send the data packets appropriately. Every NIC must have a Media Access Control (MAC) address programmed by the manufacturer. Every MAC address is unique, and the allocation of MAC addresses to networking manufacturers is strictly managed by the IEEE standards organization. In addition to a device’s MAC address, every NIC has a user-definable addressing layer to make it easier for network managers to configure their local network. Called the Internet Protocol or ‘IP’ address, this is normally 4 bytes long (IPv4) consisting of the network number and a host address. The division between the two is also 4 bytes long and called the subnet mask. Every bit in the IP address that has the number 1 in the subnet mask belongs to the same network number. Every bit that has the number 0 belongs to the host address. Where things get tricky is that only NICs with the same network number can exchange data with one another. If you’ve ever glanced at the network settings on your personal computer, some of this may seem familiar to you. The operating system on your computer displays the IP and subnet values as four decimal number (0-255). These numbers correspond to the four bytes in the IP address and subnet mask. If we use the example of a small office network, the subnet mask usually has a default value of 255.255.255.0. This provides the network administrator with 255 host addresses to use because only the last byte can be changed when it is assigned to devices on the network (255.255.255.1, 255.255.255.13, etc.). For networks that require more than 255 host addresses, the subnet mask can be changed to accommodate more devices. The IP addresses can be programmed manually for systems that require it, but in many cases, a central device, such as a router, will automatically assign an IP address whenever a NIC is connected or reconnected. This automatic IP assignment is accomplished using the Dynamic Host Configuration Protocol (DHCP). StudioLive mixers support DHCP, self-assigned IP addressing, as well as manually assigned adressing. 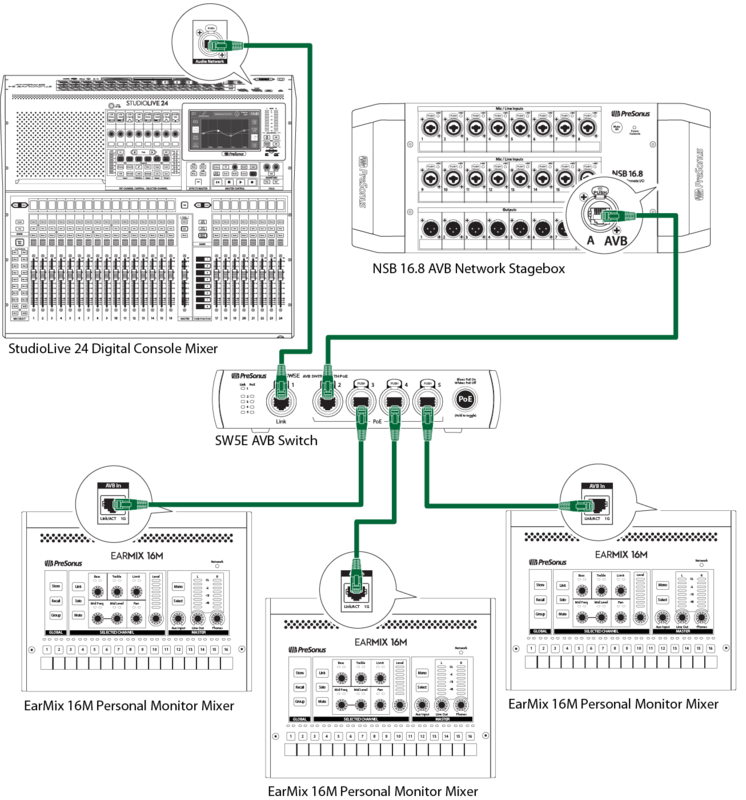 This provides network administrators with the most flexibility when designing a system that includes StudioLive mixers.